Preferably, you use the same type of instrument to make the observations, and when, inevitably, you’re required to replace aging equipment, you do so in such a way that the new system can be cross-calibrated with the old. It was during the Apollo preparations – when astronauts would also take pictures of their home planet as they tested their Moon technologies – that the idea was born for a dedicated imaging system to observe the Earth. It led to the development of the Earth Resources Technology Satellite (ERTS), launched on 23 July 1972 and operated for six years. Subsequent platforms picked up the baton. Today, Landsat-7 maintains the watch, with its successor, Landsat-8, being readied for lift-off next month. The latest incarnation will go up from California’s Vandenberg Air Force base on an Atlas rocket, and, after a few weeks of checks, assume the lead role of imaging the planet from an altitude of 705km. 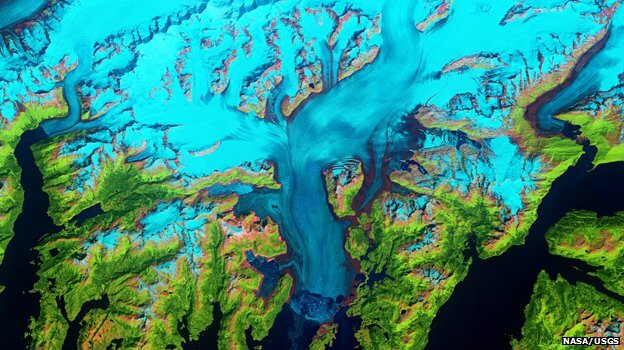 Read more: BBC News – Landsat aims to maintain gold standard.